Fall is no doubt the best season for natural light portraits outdoors. It’s when I always seem to take twice as much photos as any other time of year. Even the dullest of places turn to beautiful backgrounds when everything starts to pop with color. 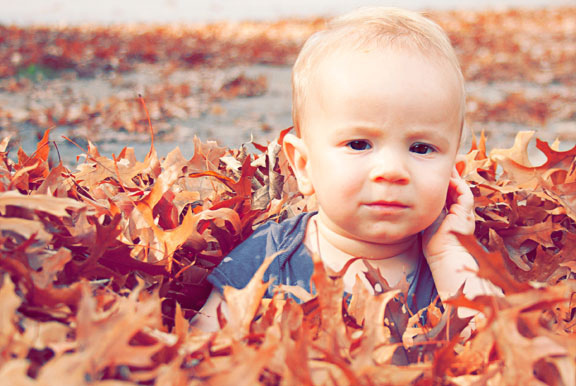 These tips from Popular Photography will help you create stunning fall portraits. To me, taking portraits during the fall feels like cheating. If you live in an area where the leaves provide amazing colors, it seems like it’s tough to take a bad picture. But, that doesn’t mean it’s OK to get lazy and complacent. here are a few tips to make sure you’re getting the most out of those awesome fall portrait photos. You can look out your window and see amazing foliage today, but depending on the weather, it could literally almost all be gone by tomorrow. All it takes is one frost or some strong wind and your amazing autumn backdrop becomes a skeletal arrangement of bare branches that looks like something right out of True Detective. Scouting your spot is basic portrait photography 101, but don’t wait a whole week between your scouting trip and the shoot. Colors can change, leaves can fall, some places like parks even close off sections for the winter. The Weather Channel actually keeps a pretty handy regional guide that lets you know what phase the leaves are in at any given time. Unlike the transition of the leaves, the sun remains forever predictable. But, if you’re not keeping track of it, you could miss out on precious golden hour minutes. As the days get shorter, the sunset moves ever earlier. Simply checking on the web what time the sun will set should give you the information you need to keep darkness from sneaking up on you. It seems like a no-brainer, but you’d be surprised how many clients I’ve had show up for an outdoor shoot in October wearing a dress that’s meant more for mid-July. You may have a tough time convincing your subjects that a sweater is good wardrobe for a shoot, but be sure to explain how important body language is, and how difficult it is to nail it when they’re trying not to shiver. I find the best wardrobe for this kind of shoot is typically something neutral and basic, so it doesn’t fight for attention with the awesome backdrop and, more importantly, the expressions of the people in the photos. Read the full article over at Popular Photography.